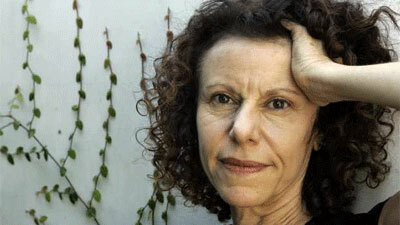 To imagine the contemporary poetic landscape without Amy Gerstler is almost impossible. Under her belt, she claims thirteen collections of poetry, two works of fiction, and countless reviews, articles, and essays. Of language she is a master, and her education in speech pathology has undoubtedly enhanced her poetic ear. But it's not only Gerstler's immaculate attention to sound that sets her apart from other writers; her work also embodies a rich wit and a wide range of empathy. 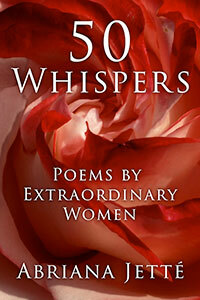 Her poetry takes on the voices of all walks of life, from fathers, to clairvoyants, to children. In short, reading Gerstler reminds us that one poet has within her the stories of the world. Her latest collection, Dearest Creature, received wide critical acclaim; it was named a New York Times Book Review Notable Book of the Year, and was short-listed for the Los Angeles Times Book Prize in Poetry. 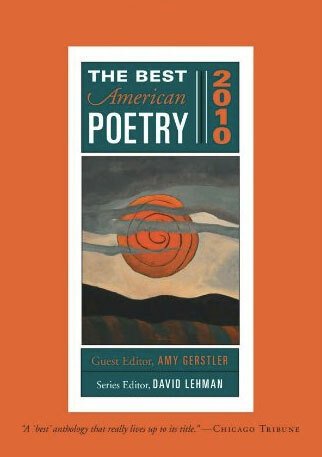 Gerstler is the recipient of the National Book Award, was a guest editor for The Best American Poetry 2010, and received her M.F.A. in nonfiction from Bennington College. This winter, I was lucky to catch up with Gerstler in Los Angeles where she lives and teaches to have this Conversation. ABRIANA JETTÉ: What are the differences for you between writing poetry and writing nonfiction? Are there certain topics you believe best expressed as an essay rather than as a poem? Or, is your process much more organic? AMY GERSTLER: I like your choice of the word "organic." It's a nicer way of describing the often chaotic, half blind way I go about trying to write my way into or towards something. I accept and also sometimes lament that Donald Barthelme's famous philosophy about the importance of "not knowing" seems to be a necessary component of writing for me, especially in the initial stages, most of the time. I'm not very good at mapping things out ahead of their actual writing. When I try, usually everything changes during the writing / revision process, anyway. Sometimes I set out to write something that I think will be an essay because it seems that it might need to contain a lot of research, that it might require a version of my own voice as opposed to a character's and /or that the piece leans towards the discursive/factual rather than lyric/imaginative. But even as I write that sentence, I find it hard to think of any of those modes as really separate. Some pieces I work on start out as essays and turn into poems, and vice versa. It gets even messier because I love reading and thinking about "hybrid literature" in which gestures and characteristics of several genres are combined in the same text. ABRIANA JETTÉ: Is it easier for you to use humor in poetry than in prose? AMY GERSTLER: It may be a little bit easier sometimes because I'm slightly more accustomed to writing poems than literary prose at this point. Also, in nonfiction prose, the voice/speaker is allegedly a constructed version of me, and I might find it a little easier right now to attempt to be funny when peeking out from behind a "character" or made up situation in a poem, might find that the situation or character provide or suggest their own opportunities for humor. ABRIANA JETTÉ: Your interest in speech pathology seems evident in your work. I'm often struck by the sonic command and enchantment each poem possesses. Because of this, your poetry is a wonderful treat to read aloud. How would you describe the difference between listening to a poem and reading a poem? Is there something different that you are communicating to the audience depending on the presentation? AMY GERSTLER: Being read to is a primary pleasure that many of us are lucky enough to have in childhood. Then we don't get to experience much as adults. It's a shame, because it can be beautiful to hear literature read aloud or recited. Like listening to music, it can be enveloping, and if someone is good reader, very transporting. Even if you're alone with a book on your lap, reading to yourself, you "hear" the sounds of the words in your head to a certain extent as you read. Otherwise, a lot of poetry wouldn't work very well on the page, and a lot of musically inclined prose wouldn't either. If someone reads to you, you can savor their voice, their interpretation and pronunciation, the ways they animate the text. Good actors are sublime at this. If you're reading to yourself, one big advantage is that you have the text right there, and can re-read parts, stop and look words up, and go at your own ideal pace, which might not be the delivery pace of someone reading to you. Literature is a different sort of time based medium when you're reading to yourself as opposed to listening to it being read or declaimed by someone else. ABRIANA JETTÉ: What was it like to adopt the voice of a father and of a clairvoyant? Are they original voices or do you consider them to be characters in a narrative? AMY GERSTLER: One of the things about reading literature that is such a miracle is that it allows you to briefly inhabit other minds, and/or commune with them, learn from them, take them on, know them intimately. I had wanted to be an actress for a while when I was younger, partly because I was entranced by the idea of "playing" someone else, that kind of transformation, trying to become a character different from yourself, to really work at that over time. My interest in writing dramatic monologues or persona pieces like the ones you mentioned stems partly from that early interest in trying to get inside another character/being to see what that would be like. If I understand the second part of your question: I don't consider the various character poems I write as being related to each other, or as part of some larger narrative (although that's a cool idea and maybe something that it would be interesting to try in the future!) They're usually just attempts to create and explore a character and their world, and/or a dilemma or situation the character is involved in, just within the confines of that particular poem. ABRIANA JETTÉ: Do you find yourself ever listening for particular sounds or beats when writing a poem or are they part of your strategic design? 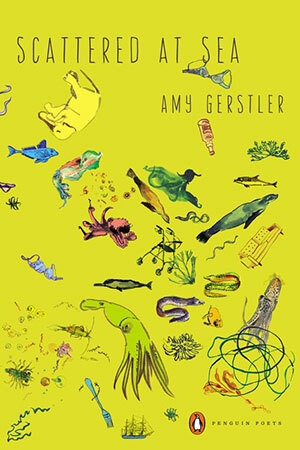 AMY GERSTLER: Off rhyme is very very appealing to me, for some reason, maybe because it can be slightly idiosyncratic and surprising, and those qualities appeal to me. Off rhyme can be a little stealth, under the radar, it doesn't bonk you over the head like exact rhyme, so I like that too. I think there are certain kinds of speech /thought rhythms that tend to feel dramatic or natural or musical or "right" for different writers and/or for different poems. So part of trying to write poems is an effort to discover that poem's voice/heartbeat/rhythm/sonics while working on it, whether it's breathless or run on, or very regular, or halting, or rhymey, or driving, or awkward and stumbling, or some shifting combination, etc. ABRIANA JETTÉ: Your poetry regularly explores the themes of redemption, suffering, and survival, and yet you are known for your wit and humor. How do you reconcile such different ends of the emotional spectrum in your work and in your own life? AMY GERSTLER: For me, human beings' capacity to laugh, to make each other laugh, and to understand or grapple with hard truths and complexities via laughter is essential. We fuel and console each other and send secret messages through humor. Human beings would hardly be tolerable without humor. It's one of their saving graces. I think some kinds of humor can be a form of love. I believe wit and comedy can help us cope, comprehend, expiate, diffuse, accept, understand each other and much more. Wit and comedy are transformative, and have a relationship to vulnerability, to a sense of shared thinking, of our common foibles and fates. Comedy is very serious business to me! It's hard for me to trust people who don't appear to have a sense of humor, or who denigrate the comic. And life is such a mix of joy, tragedy and absurdity that it's difficult for me to think an art form that's not capable of containing the comic is one that is in tune with what it's like to be alive. And comedy can be a sly way of touching on subjects that would be too confrontational, dark, or taboo to mention otherwise. ABRIANA JETTÉ: When did you first realize the impact that music has on poetry? AMY GERSTLER: Someone once said, and I wish I could remember who, that every person's a poet till they're five years old or so. That makes great sense, because when we're small and first learning language, there's so much wonder in the process. Nothing is taken for granted. The letters of whatever alphabet you're acquiring are like friends whose names, shapes characteristics, and limits you're trying to learn. They're like little superheroes, characters in one's life, and words and then expressions and how they're used soon gain the same magic friends status. The music of language, its sounds and mouth-feel, what your face has to do to make those sounds, and the fun one can have with rhyming, nonsense, making words up, distorting words, imitating how others sound; with the rhythms of talking, singing and of the body, are all bright discoveries and sources of wild delight in childhood. Language as you're first learning it becomes this fascinating, malleable, flexible game you can play, and it also has to do with making connections with others and learning about the world. So when we're making up ridiculous rhymes and jokes and puns as tiny kids, that's when we're all poets. Some of us never progress beyond that stage…we keep wanting to play with language like it's this wonderful hunk of play-doh, and make things out of it. Language's musical properties are some of the first of its enticing, memorable virtues and possibilities I think we all respond to as we're being inducted into the ranks of speaking creatures. ABRIANA JETTÉ: I've studied your "backward" pedagogical method, and I'm a practitioner of it myself. Indeed, you are one of the contemporary poets we read in my classroom to illustrate the link between contemporary poetry and rap/hip-hop. As the method dictates, after students cultivate an interest and base understanding of the art, it is only natural for them to learn from and love Chaucer, Spenser, and Homer. What musicians and/or artists do you love to bring into the classroom? What music do you listen to and admire? AMY GERSTLER: I'm glad you're experimenting with that idea of teaching literature backwards chronologically. I'll be interested in field reports about how it works out. I am always looking to friends to provide me with suggestions about music, as I am a dunce about it. I love female singers. My mother studied voice and I grew up listening to recordings of musical comedies, and a little opera, as these were special interests of hers. Amy Winehouse, Ella Fitzgerald, Aimee Mann, and Anna Netrebko are singers I love now. I heard Tink recently at a friend's house and loved her singing, though it's electronically manipulated, I guess, which isn't a problem, just a fact. Elvis Costello has been a hero of mine since high school. I love his songs. I like his voice and passionate delivery. His lyrics slay me with their furious intelligence, deft wordplay, emotionality and range of subjects. He's such a good writer. The poet David Lehman kind of introduced me to Frank Sinatra, who I resisted for a while for some reason, and to a lot of great singers from that era, so I have slowly developed real appreciation for Frank. I completely love Louis Armstrong's beautiful, raspy singing. It's perfect. I could listen to him every day. Because I'm pretty dumb about music, I don't usually bring it into the classroom. I always secretly hope my students will. I try to bring books into classes based on things that have come up in class discussions, and/or based on the interests and proclivities of the students as they emerge. There are so many writers and poets I love who I am always squeezing into class syllabi or foisting off on students, (and I am always discovering new ones:) James Tate, Maggie Nelson, Wislawa Szymborska, Terrance Hayes, Robert Walser, Matthea Harvey, Sei Shonagon, Cate Marvin, Tom Clark, Franz Kafka, David Foster Wallace, Russell Edson, Lucia Perillo, Tracy Smith, on and on. I love graphic novels so if I find out a student is interested in those, I'm often guilty of lugging those into the classroom as well. I am a big fan of Jaime and Gilbert Hernandez, Ivan Brunetti, Chris Ware, etc. ABRIANA JETTÉ: If you could only teach three books for the rest of your life, what would they be and why? AMY GERSTLER: Oh, impossible question! Yet I will try to give an answer. The Art of the Personal Essay edited by Phillip Lopate, The Penguin Book of Women Poets, and Shakespeare's Plays. All anthologies, in a sense, and each is rich and capacious, varied, and deeply human. If I could cheat and add a fourth, I might go for the Ecco Anthology of International Poetry. 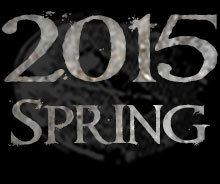 ABRIANA JETTÉ: Every season, I promote the work of talented emerging poets whose work, I believe, is worth reading. 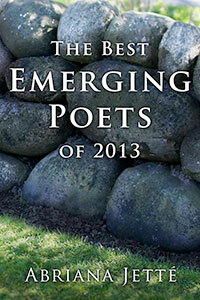 If you could offer one bit of advice to the bright-eyed and eager emerging poets of today, what would it be? AMY GERSTLER: Keep at it and don't become discouraged, NO MATTER WHAT. Team up with your friends and publish each other, if you have to. Be brave and believe in yourself and in the work you love. Do what you need to do to support yourself and your work and don't feel bad about it. Do what you need to do to cultivate and explore your interests and obsessions. Find peers who like your work and you theirs. ABRIANA JETTÉ: What projects are you working on now and what can we expect from you in the future? 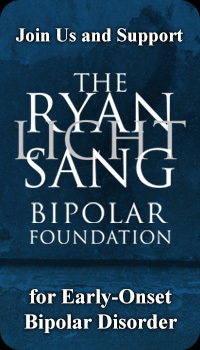 AMY GERSTLER: Lyric essays, poems, and a research book about an oddball artist are three writing projects I hope and aim to work on going forward.